Soak chia seeds in milk for 15 minutes, stirring occasionally to prevent clumps. 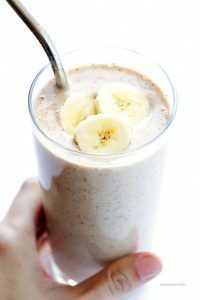 Transfer the chia and milk mixture to a blender, add protein, banana, maple syrup if using, and yogurt. Blend for 1 minute until smooth.